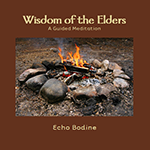 Get all of Echo's videos, meditations and books in one convenient place! Audio products can be downloaded instantly after purchase. Video products are on DVD and will be shipped in the United States for $4.95. Additional costs may apply for international orders. Note: Audio downloads will not download directly to Apple portable devices. Download the audio file to your desktop computer first, copy it into iTunes and then sync your device. Are you an aspiring psychic who would like to be in business for yourself? 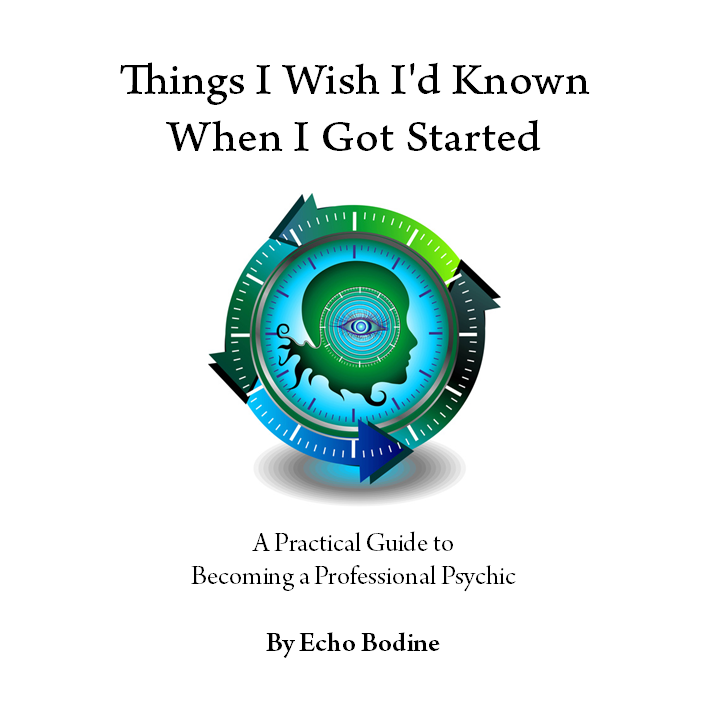 In this PDF e-booklet, Echo Bodine reflects on what she has learned from her experience as a professional psychic for the past 40+ years. Echo shares her story of starting out and offers her suggestions for what to consider as you begin your business journey. Included are processes to help keep yourself clear, along with thoughts about advertising, phones, appointments, how to charge for your service, staying out of ego, and more. As the title suggests, Echo’s suggestions are things she believes will be helpful for you to know as you prepare to operate your own small business. 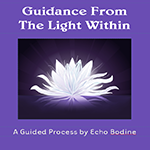 Included in the e-book is a special email address for Echo that you can use to ask questions about this material, or anything related to being in business as a professional psychic. Answers will appear on a special FAQ page on Echo’s website. The link to that page is also included. In this way you will always have access to the latest information available from Echo. Purchase and download in PDF format using the button below. You can also purchase the Kindle version from Amazon, for use with Kindle readers or Kindle apps. If you do not see a download link after purchasing, click on “return to merchant” or check your email. 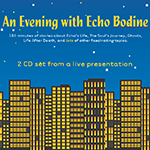 If any questions, contact webguy@echobodine.com. A true story. 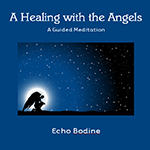 During a meditation Echo asked God to let her view what is on the other side of the veil. Two days later she found herself on a sacred journey for 45 minutes as her soul was taken from her body and given an Angel-guided tour of what lies beyond. This recording is a recollection of that event set to beautiful original music by Twin Cities keyboardist Larry David. See the downloading information at the top of the page if you are using an Apple iPhone or iPad. Echo’s all-time classic meditation. One of the first and one of the favorites. to help you release what no longer serves you. The next best thing to a personal healing session with Echo. 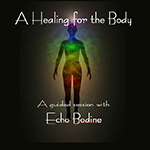 Lie down, relax and let Echo guide a process of grounding and clearing as she prepares you to receive the warm healing energy being directed to your body. 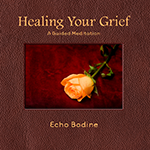 In this gentle process Echo talks about your loved one and their passage to the other side. She helps you understand the connection you still have with them and guides and invitation for them to come and talk with you. Be guided on a unique inner journey to encounter, perceive and heal different aspects of yourself. Breathe the essence of the forest and feel the protection and deep wisdom of the trees and earth as you are nurtured and enfolded by the magic of life. Go to a special place deep inside to experience and blend with the ancient wisdom of the Elder Spirits. Be nourished in this sacred atmosphere of light, wisdom and oneness with the Universe. Short and sweet. 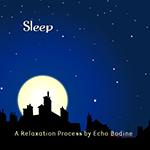 Relax in peace as Echo’s soothing voice quiets your mind and emotions, relaxes your body and calms your spirit. The beautiful music of Larry David fades slowly away as you drift off to sleep. A powerful meditation that gives you an opportunity to feel and know the incredible essence of God within. Within this sacred space you can talk to God and listen for answers. It is here you will come to know and understand your joy and unique Oneness with Creator. 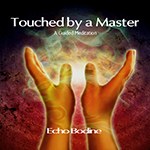 A moving and healing experience is yours as Echo helps you connect to a loving Master in Spirit. 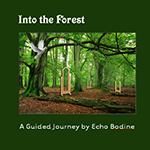 This is a guided journey back in time to past lives and the old pain that may still need healing. 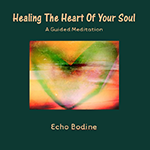 In this process Echo will assist you with a process to release the old pain and open your heart to healing. 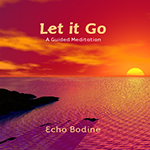 Another one of Echo’s popular and classic meditations. The name says it all. 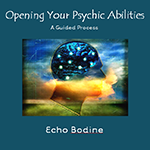 In this exercise Echo will guide you through the basic process of opening up psychically so you can practice developing your spiritual gifts. Find a comfortable chair, take a deep breath and let Echo guide you to a place of welcome relaxation. 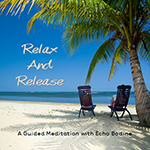 Experience the release of stress from your body and life as you make this journey into stillness. 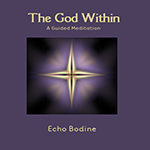 In this brilliant and comforting meditation Echo takes you on a very sacred jorney deep inside yourself. Each time you visit this special place you will be rejuvenated by the love and wisdom of the Inner Light that is within you. 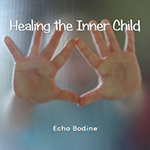 In this meditation Echo guides you to a place of deep healing as you bring to your inner child the guidance and protection you are now able to offer. 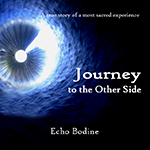 150 minutes recorded live during a conference presentation with stories about Echo’s Life, The Soul’s Journey, Ghosts, Life After Death, and lots of other fascinating topics. Double download. 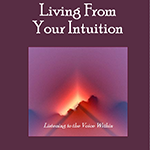 Intuition: What is it? Where do we connect with it in the body? How do we listen to it? How do we tell the difference between this voice and personal emotions? How can we trust the inner messages when we receive so many mixed messages from others in the world? 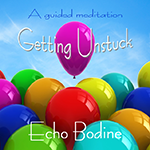 Speaking straight from her heart, Echo answers these questions and dozens more in this 4-hour recording of her popular intuition workshop. This 2-disc video brings Echo’s weekend training seminar into your home. 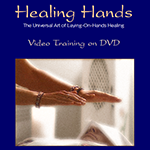 With step by step guidance you will learn the art of Laying-in-Hands healing as taught by this experienced practitioner. 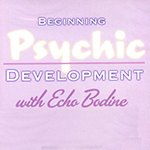 Enjoy over four hours of engaging, insightful instruction as Echo takes you through what you need to know to open up your psychic gifts. If you’ve read any of Echo’s books, you know about mirror necklaces. They are very helpful in protecting us from negative energy. Check out http://moonwisdom.com for some of the helpful products often recommended by Echo. They have Palo Santo wood incense, sage mist, oils and much more. We accept VISA, Mastercard, American Express, and Discover cards using the secure PayPal shopping cart system. You do NOT need a PayPal account to make your purchases although we suggest setting one up for ease in using in thousands of sites around the internet.